Making the Business & Technology Meet! Mobilestack demostrates expertise in NFV/SDN technology by showing a demo of LTE-in-a-box solution running on PC. This solution includes NFV-based vMME, vHSS and vSP-GW solution running together with virtual-RAN eNB solution implementing LTE-PHY, MAC, RRC and PDCP layer. Refer to Blog article for more details. Business Transformation using MobileStack Cloud Services platform. MobileStack expertise and competency in Cloud Services leverage enterprises and establish to the choice of new era, the Cloud. MobileStack provides Mobile Cloud Services as "Steps Customized to your Path". Taming IT complexity with managed services, Legacy IT system creates diagonal businesses. Deploy Mobile App using public, private and hybrid cloud architecture. Our Services and Solutions drives Business Transformation around the world for better and enriched connectivity and performance. MobileStack helps customers in their shift from Traditional IT to Mobile Cloud Solutions. Mobile Cloud the first strategy in the foundation for staying relevant in this fast-paced world. Develop you cloud application quickly using pre-build framework of database and cloud features. Customize using business logic. MobileStack vision is to provide Best-in-Class Mobile Cloud Services and Solution to our Customers. MobileStack Inc., is a Technology Company delivering Innovative Mobile Cloud Technology to our customers, using best ideas/pre-developed software components to reduce time-to-market and cost of solution for our customers. Mobile Cloud application consists of two major segments, the Web & Mobile application clients connected to Mobile Cloud server deployed on public/ private cloud platform as per customer's requirement. MobileStack builds white-label customizable technology pieces that can be integrated as part of customer solution to reduce overall solution cost and time-to-market. At MobileStack Inc., we join customer development teams as a "contributor" as per customer requirements. Balancing time to market pressures and superior quality is our "Culture" at MobileStack, and that is the essence of the value we bring to our customers. We bring you the much needed technical expertise, outstanding people and quality processes to build Mobile Cloud application on time. Our expertise of the driving innovation has spread across various industries and countries. Our business functions are highly concentrated. Taming IT complexity with managed services, Legacy IT system creates diagonal businesses. Deploy Mobile App using public, private and hybrid cloud architecture. 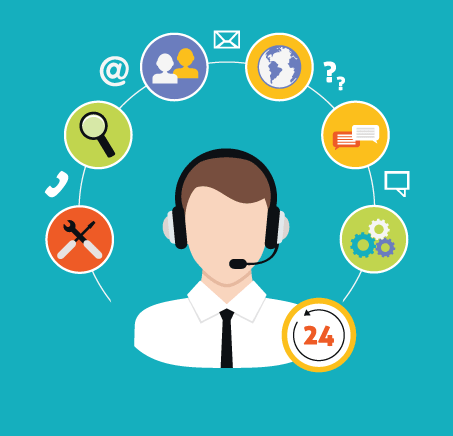 Web is no longer the best option to engage with customer and employees. 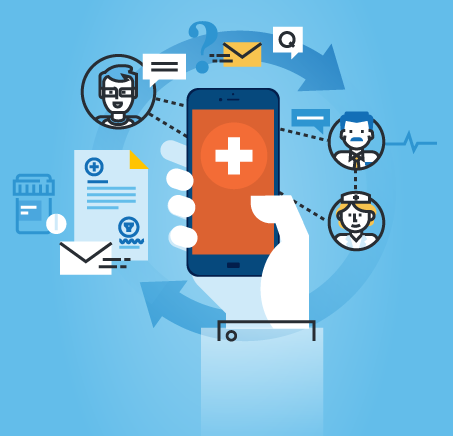 Adding a mobile application to serve customers and help employees is becoming critical. As Mobile device have become ubiquitous, business need is to create a consistent user experience across web and mobile devices. The Internet of Things (IoT) is an ever-expanding adoption of Internet-enabled “smart” devices that use wireless machine-to-machine (M2M) technology to communicate with each other. The focus of IoT is in collecting real-time information and using it for real-time response or management actions to control cost of doing business or increasing revenue. MobileStack Inc provides training and consulting services for customers who want to learn how IoT solution can help their business. NFV/SDN is a new telecom cloud technology that is necessary for 5G deployment. Every Telecom operator needs to have NFV/SDN deployment strategy and deployment model developed. NFV is a network architecture concept that uses the technologies of IT virtualization to virtualize entire classes of network node functions into building blocks that may connect, or chain together, to create communication services. For Customers who want to test-drive the solution before investing significant money in development of their own mobile-cloud solution, MobileStack offers pre-built hosted solutions. MobileStack acts as a partner to enterprises is a part of their Mobile Cloud Solutions. A Prototype is a first iteration of product to demonstrate business viability, user-desirability and technical-feasibility. After the initial consulting phase in which Enterprise. After the initial consulting phase in which Enterprise mobile cloud requirements and architecture is developed, desired solution’s ProtoType using pre-developed MobileStack Enterprise Mobile Cloud Solution. 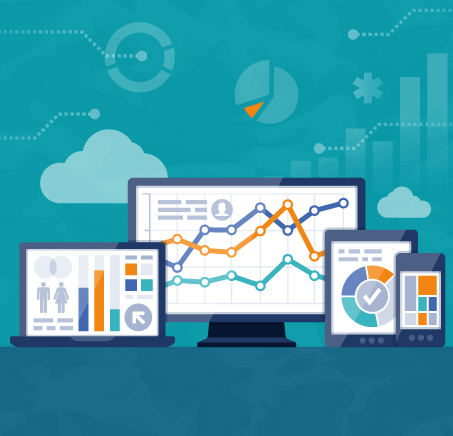 Cloud analytics is term for a set of technological and analytical tools and techniques specifically designed to help clients extract information from massive data. Cloud analytics is designed to make official statistical data readily categorized and available via the users web browser. 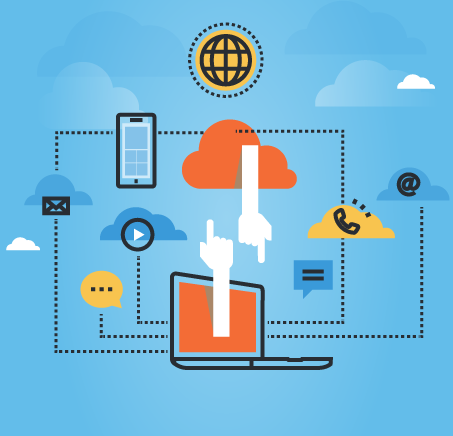 Enterprises are embracing Cloud and Social Media technologies to better connect with Employees and customers. As standalone technologies. As standalone technologies, social networking sites and cloud computing services do have potential benefits for the enterprise. 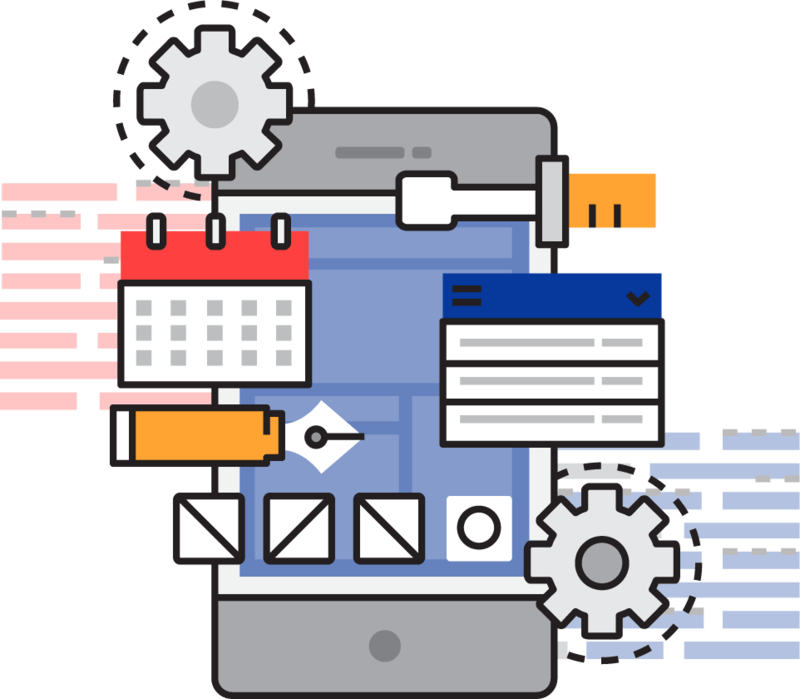 MobileStack provides cross-platform application development for consistent user-experience across web/mobile usingResponsive web design for web application. 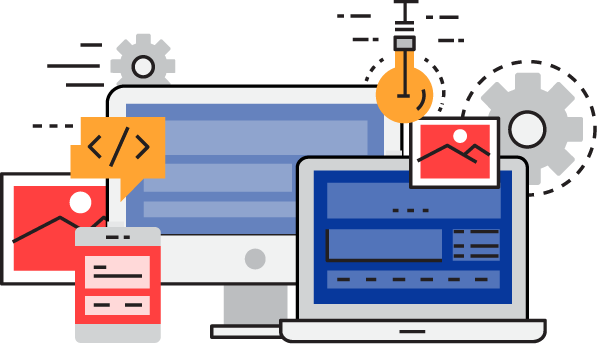 MobileStack provides cross-platform application development for consistent user-experience across web/mobile using: Responsive web design for web application. ReactNative cross-platform development for IOS and Android applications. Seamless User Mobility from one device to another is provided as part of user experience to improve user productivity. MobileStack offers maintenance and support of Mobile Cloud deployments. Customers can get full value for their mobile Cloud solution investment by outsourcing maintenance. Following functions are covered as part of maintenance and support functions performed by MobileStack Inc. DevOps play a significant role in maintenance and support function to evolve the solution faster and respond to customer requirement changes without impacting Operations. Cloud computing security or, more simply, cloud security refers to a broad set of policies, technologies, and controls deployed to protect data, applications. Organizations need to adopt micro-services architecture with well defined policies and control via APIs and software upgrades via root-of-trust architecture. MobileStack offers educational and training courses to understand and learn the basics as well as technical details of Enterprise mobile cloud solution deployment. Almost every business is exploring ways to deploy mobile cloud solution, training is a best way to start learning about this new technology and its benefits along with a demo of how it can help change the way of doing business for enterprises. IoT Prototype is an important step in building confidence in proposed IoT solution and ensure that proposed IoT solution shall serve business needs. A Prototype is a first iteration of product to demonstrate business viability, user-desirability and technical-feasibility. IoT ProtoType is an important step in building. Companies are launching IoT initiatives where technology promises to address real business problems. Some of those companies have found success with IoT in a relatively. IoT holds promise in operational efficiency, identifying new business opportunities, and improved customer intelligence and support. It also is a technology concept that both serves and connects the enterprise and consumer markets. IOT devices deployed in a variety of hostile operating environments poses a new class of security threat model that needs to be tackled, monitored and managed. MobileStack Inc offers IoT solution security assessment services to ensure that IoT solution shall comply to FEDRAMP and other IoT security standards that are constantly evolving at rapid pace. IoT analytics uses artificial intelligence and business intelligence techniques to derive business value from data collected by IoT solution. Advanced analytics of IoT data. Advanced analytics of IoT data can create new business revenues or reduce cost. Real-time analysis of IoT device data can create real-time information. MobileStack Inc acts as a partner to IoT device developer to create an end-to-end solution for faster path to market trials. MobileStack has a pre-build back-end PoC platform. When IoT device is partner is ready for IoT solution/product launch and need an end-to-end IoT solution, MobileStack can help IoT device partner with development of such a solution. MobileStack offers educational and training courses to understand and learn the basics as well as technical details of IoT solution deployment. MobileStack can also create custom courses for businesses based on their specific needs. General courses are available for Mobile Cloud solutions. MobileStack provides development, testing and support services for NFV-SDN vendors/operators. MobileStack provides NFV/SDN PoC services to our customer who want to test out NFV/SDN technology and learn from it. PoC can help in removing barrier of NFV adoption. MobileStack can provide service using different development/payment models identified in development model section. In legacy world, Network service is provided as a complete hardware solution with one vendor responsible for running of network element smoothly. In NFV/SDN deployment. In NFV/SDN deployment, solution is a layered architecture with different vendors offering pieces in each layer. MobileStack can also create custom courses for businesses based on their specific needs. General courses are available for NFV/SDN technology. MobileStack helps customers in their shift from Traditional IT to Mobile Cloud Solutions. Mobile Cloud the first strategy in the foundation for staying relevant in this fast-paced world. Mobilestack Inc. helps clients build, host and run mobile application in the cloud. Grow your business by creating a Mobile Application for your customer. 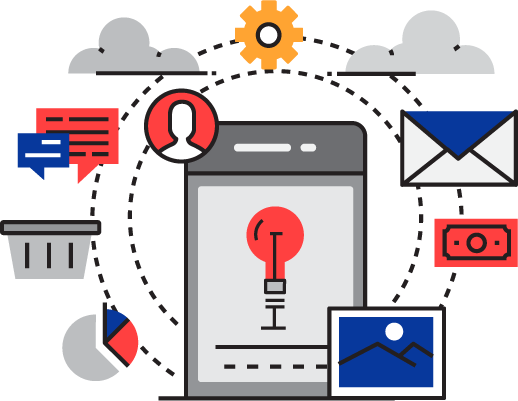 A mobile cloud application platform can transform your application development process and renew your application architecture. Delivered as Platform-as-a-Service (PaaS) it enables automated governance, run-time service level management, DevOps agility, and iterative development. 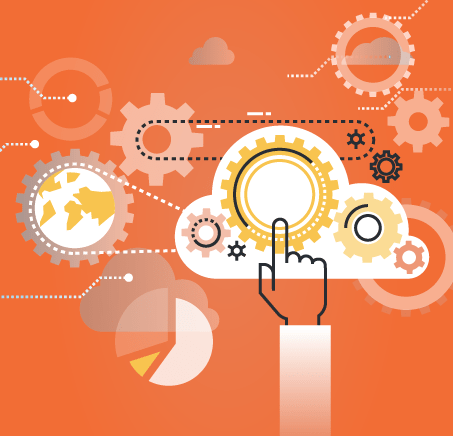 Cloud analytics uses a range of analytical tools and techniques to help companies. Every Mobile Cloud application used for business functions need to carefully plan and solve for cloud security threats. Get More for less – improve RoI. MobileStack Inc provide Mobile Cloud application performance measurement tools to identify opportunities for Cloud application performance improvement and achieve better operational efficiency. A highly integrated and effective platform for the data driven analytics. Take your business to new heights with our IoT Application Solutions. MobileStack has pre-built IoT Cloud software and hosted solution to leverage for our customers. A Prototype is a first iteration of product to demonstrate business viability, user-desirability and technical-feasibility. MobileStack Inc offers IoT application Cloud Analytics solution for IoT customers as per their cloud analytics requirement. Common components of Cloud analytics are pre-built as MobileStack solution and used in customer solution to reduce the cost of development and time-to-market for the customer. IoT Cloud Security framework has many dimensions such as – regulatory standards, Industry specific Security standards. Any IoT system must address four fundamental categories of device management. Mobilestack help clients and mobile operators with their most pressing issues. NFV is a big change for Mobile Network. 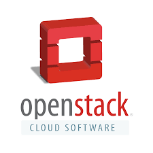 MobileStack is participating in open source initiatives to develop “virtualized MEC VNF” solution that can be deployed on private cloud infrastructure in close proximity with C-RAN infrastructure. MobileStack Inc is building a Use-case oriented MEC architecture in which support for different use-cases can be added as per customer requirement. Broadly, MEC is used in various cases. MobileStack can help in development of NFV-based test equipment needed for network or device testing. An exciting shift is happening in telecom services industry, with virtualization and software-defined networking technologies. MobileStack is participating in several open source initiatives to perform active research in NFV/SDN technology domain. At MobileStack, our focus is on integrating and testing different open source initiatives using a small data-center concept that can be deployed at the edge of the network. MobileStack creates a Proficient Process Management by delivering Comprehensive and Optimized ways that plays the vital role in the success transformation and delivery of each of the below phases. We Train, Support and Inspire! We provide Training and Support to our customers for "Taking their Application to the Mobile Cloud." Explore our Training support for NFV & SDN and Technical support. Highly efficient and cost-effective training models to streamline the transforming IT journey. Focus on the latest technology, innovation and events that keeps us absorbed on our strategies. Revolving over the escalated updates keep us motivated. Our client case studies keep us motivated and with an insight explore the development of highly efficient and robust application created with the cost-effective solutions. Creating Trends with Innovation, it's the one for you and your Business.